There must be at least a thousand different ways to make a vodka martini, I’m sure of it. 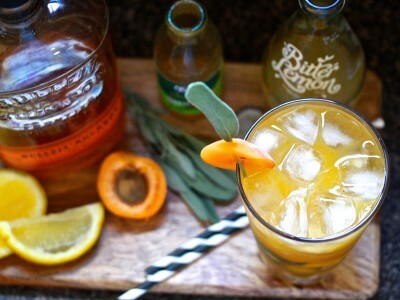 For such a simple cocktail, its success depends so much on individual tastes. I’ve perfected my recipe and method to my preferences over a very long time, so this is to my personal taste. 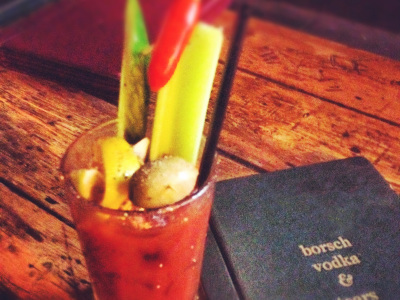 If you like your vodka martinis dry, you should appreciate this one. 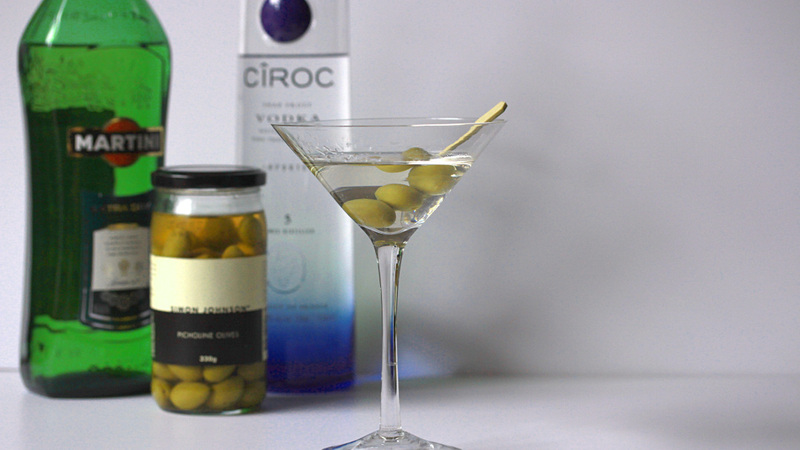 If you prefer your martinis dirty, check out my Classic Dirty Vodka Martini recipe instead. Chill glass – fill with ice cubes and stand for 2 mins, then tip out ice cubes and gently wipe glass with a clean dry cloth. 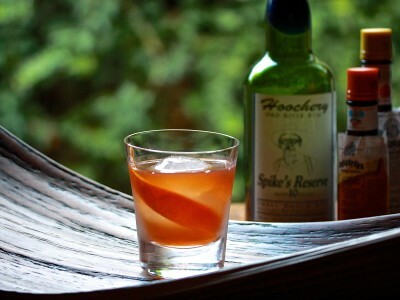 Add vermouth to glass and slowly swirl around the glass 2-3 times to coat the inside of the glass. Pour in vodka and stir in one swirl with a cocktail stirrer. 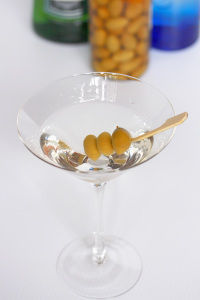 Thread olives onto a cocktail pick and add as garnish.